Analytics driven denial of service mitigation platform for our hosting services, remote servers, and entire networks. To protect any server within the ServerDeals network, choose your desired level of protection during checkout or contact your account executive. 100Gbps Any ServerDeals service, all layers of protection Included Contact Us! 500Gbps Any ServerDeals service, all layers of protection Included Contact Us! Remote protection is provisioned via GRE tunnel to your server or network. Under attack? We can provision remote protection in 4 hours or less! 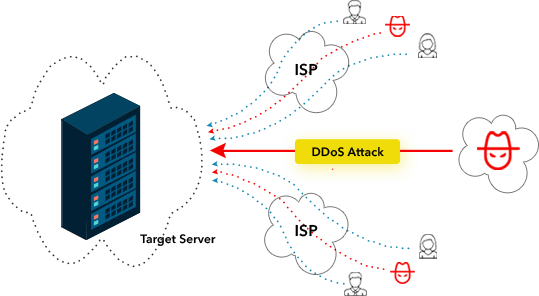 DDoS-Defense™ analyzes traffic around the clock to ensure that there is no delay in mitigation, a common flaw found in other filtering services. We provide a 99.9% uptime SLA on services protected by DDoS-Defense™ within the subscribed protection size. Our heuristic based scrubbing enables defense against all known threats, including those common against game servers, websites, and more! Prevent service disruptions during attacks. Reduce revenue loss due to attacks causing service outages. Minimize latency caused by packet analysis and cloud filtering. Prevent massive bandwidth overage charges caused by volumetric DDoS attack traffic against your network. Pricing includes all IP addresses in an allocated block, unlike many competitors who charge per IP. Attack logs are stored in your client panel for full transparency. 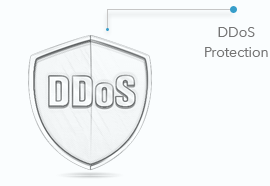 What does the DDoS-Defense™ Platform protect against? What are the requirements for Remote Protection? Many mitigation service providers require that you have your own BGP router and /24 or larger IP prefix in order to activate remote protection over a GRE tunnel. Although we do support this functionality, it is not a requirement and we can support smaller users who require IP space from us and do not operate their own BGP network. Can we announce and withdraw prefixes over BGP with Remote Protection? Yes! We allow the dynamic announcement and withdrawal of prefixes over BGP, giving you control of when an IP prefix should be routed through instant filtering in our scrubbing centers or when it should be routed normally on your network. Please note that the smallest size prefix that can be announced over BGP is a /24.